Hey Christian K-Pop fans! I’ve got a book recommendation for you that might be right up your alley. 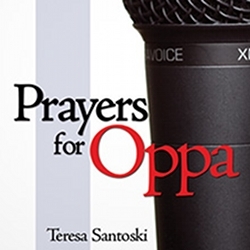 Prayers for Oppa is a devotional tool written by Teresa Santoski for Christian K-Pop fans looking to support their favorite performers through prayer, as well as provide a way to reach out to fans who may or not be Christian. 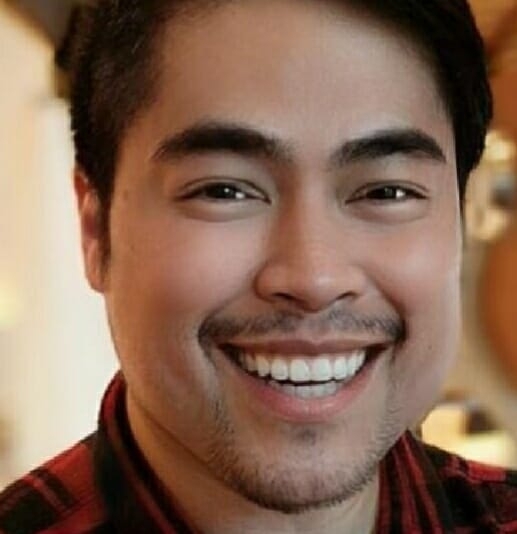 It’s also a handy tool for performers looking to deepen their relationship with God, create a spiritual support system between them and their fans, and use their influence to make God’s all-encompassing love and care accessible to those who do not yet know Jesus. Each devotional includes prayers and applicable Bible verses for fans and performers. Is your favorite performer sick or injured? 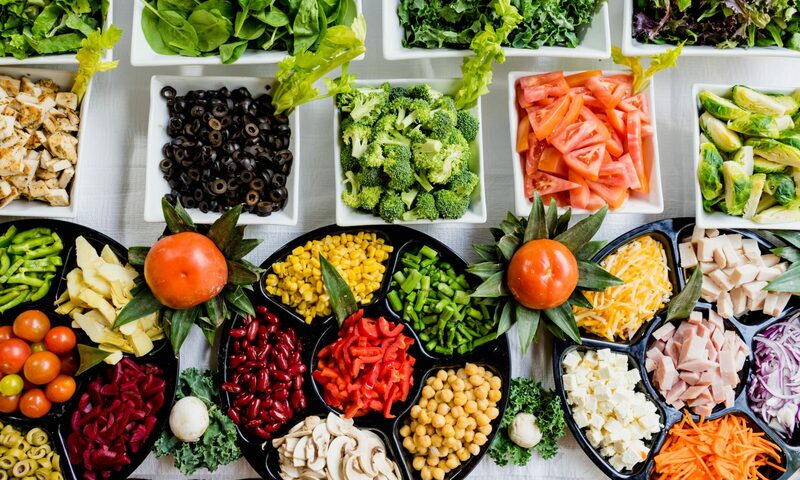 Turn to the Healing section. Are they going through a tough time in their career? Go to Difficulty Getting Work. Want to support them in their efforts to share their faith? Try Social Media, Sharing God with Others or Taking a Stand. 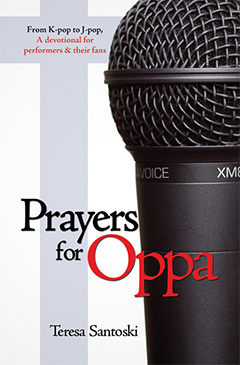 Prayers for Oppa also contains a section on how to become a Christian and nurture your relationship with God, as well as suggested talking points for performers who would like to share their faith in interviews. Giving an outdoor concert on a rainy night? Check out Performance Safety. Feeling pressure due to the expectations of others? Flip to Discouragement. Wondering if you’re presenting yourself to the public in a way that brings God glory? Find what you need in the Fan Service and Image sections. I’ve read the sample devotional and it looks really good! As a Christian writer and music aficionado who likes K-Pop, I think Prayers for Oppa is a useful and clever material that can help us tap into our intercessory potential and cover our favorite artists in prayer. Ironically, I also think that doing the devotional actually resets our minds from focusing on the “idols” we enjoy, and instead refocuses it on our own relationship with Jesus, which is great. Previous PostPrevious Hillsong UNITED is coming to Manila this June 2014!